Very clean, modern, safe, warm, spacious, good wi fi, comfortable pillows, duvets, beds, nice warm bathrooms, a lot of very convenient storage space. Food in restaurant is very delicious. Although not enough vegetarian variants. But anyway very good. The apartments are right inside the hotel, just next to the train and everything else. They aren't big, but they are comfortable for 5 people if some are children. 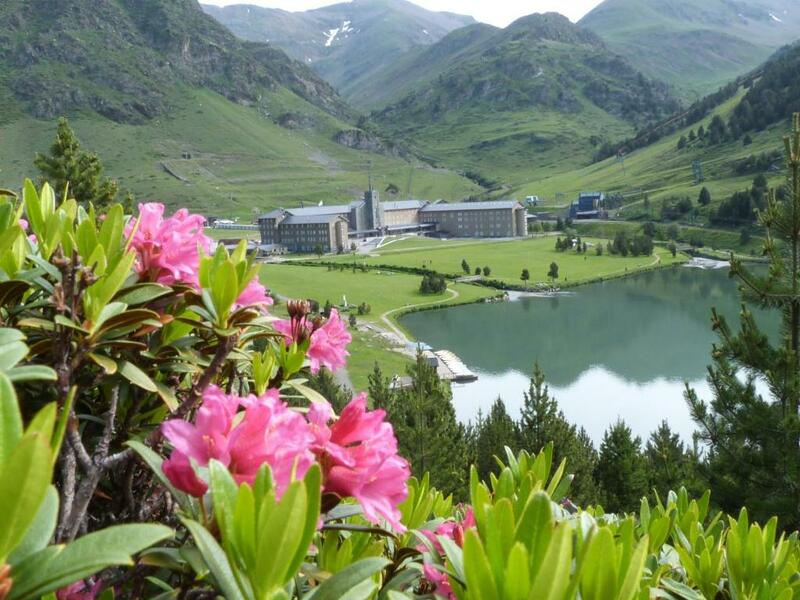 The area is really pretty and the building itself is quite unusual - a sort of hiking center and ski resort with a hotel on top and restaurants inside. It's quite a quaint little place with lots of nice hikes all around and very helpful staff both inside the hotel and at the information counter for hiking and activities. O apart hotel fica dentro da area da estacao de esqui, por isso, muito comodo para a pratica de esporte. O quarto para familia tinha tamanho excelente, muito bem equipado, chuveiro quente e com boa pressao, cozinha espacosa com todos os utensilios necessarios para preparar refeicoes, camas e lencois muito confortaveis. Enfim, o apart hotel definitivamente fez a nossa estadia mais feliz e agradavel!! 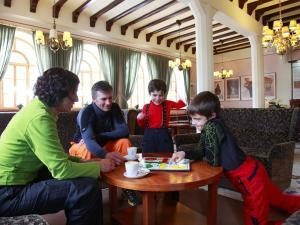 Lock in a great price for Apartaments Vall de Núria – rated 8.1 by recent guests! 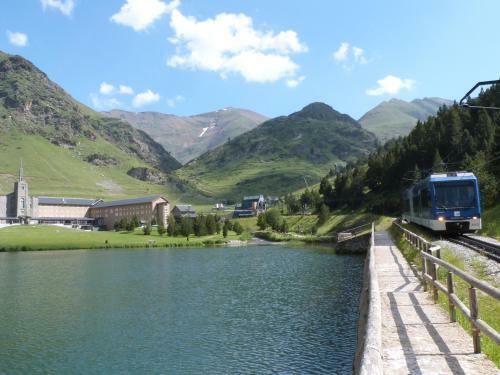 One of our top picks in Queralbs.Located within the stunning Catalan Pyrenees in Vall de Núria, Apartaments Vall de Núria is set at an altitude of 6,550 feet. Free WiFi access is available. 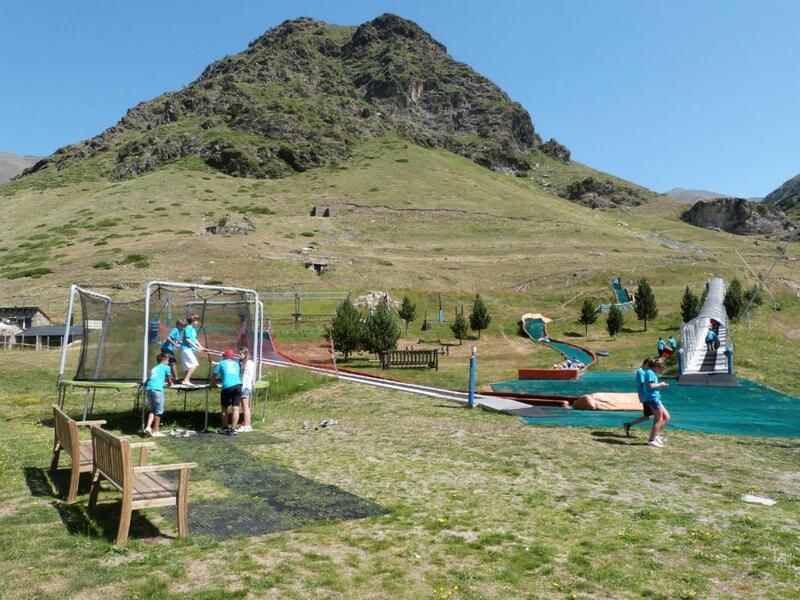 The property is located at the top of Vall de Núria rack railway, and offers free cable railway tickets.Several activities can be practiced in the surroundings, including canoeing, hiking, fishing, horseback riding and skiing. Featuring beautiful views of the surroundings, each apartment at Apartaments Vall de Núria has a seating area with sofas and flat-screen TV with pay-per-view channels, a fully equipped kitchenette and a bathroom with bath, shower and hairdryer. Bed linen and towels are included. The property offers a bar, restaurants and a shared lounge. Ski equipment hire and ski pass vendor are available. The historic town of Ripoll can be reached in 15 minutes from Ribes de Freser Station. Girona Airport is a 2-hour drive away. 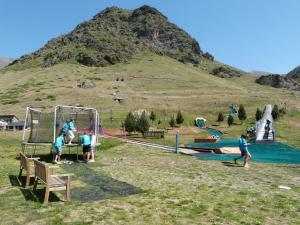 When would you like to stay at Apartaments Vall de Núria? Featuring beautiful views of the surroundings, each apartment has a seating area with sofas and flat-screen TV with pay-per-view channels, a fully equipped kitchenette and a bathroom with bath, shower and hairdryer. Bed linen and towels are included. 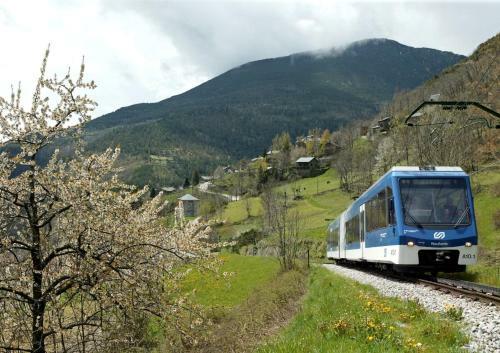 Please note that the rack railway's ticket is included in the room rate. 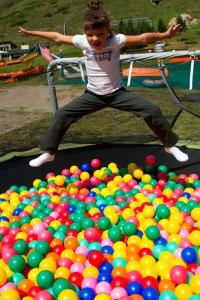 House Rules Apartaments Vall de Núria takes special requests – add in the next step! Apartaments Vall de Núria accepts these cards and reserves the right to temporarily hold an amount prior to arrival. 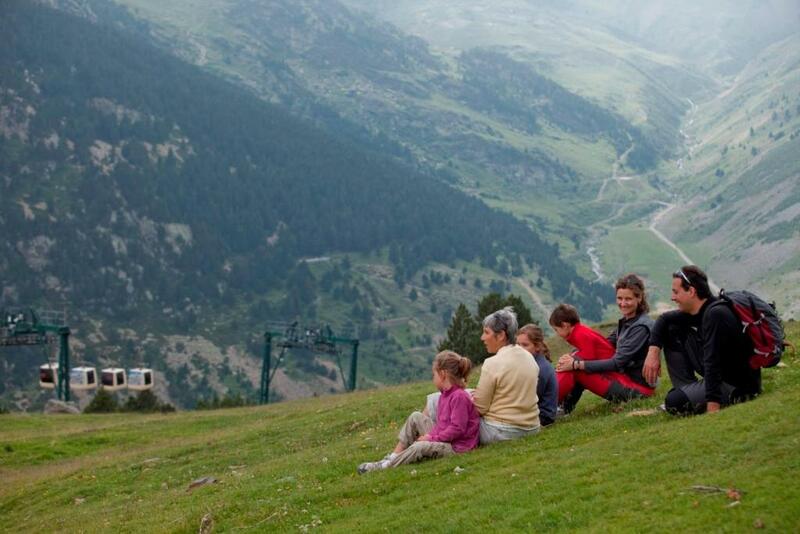 Please note that the access to Apartaments Vall de Núria is via the Núria Rack Railway only. Please note that the parking is located on the Ribes-Vila cog railway station, in the town of Ribes de Freser. Please note that for stays of 1 night, guests have a free return trip on the rack railway. For longer stays, unlimited journeys are included. Tickets are provided at the reception. Please note dinner will not be served from 17 to 21 December. Attic floor in our apartment was poorly ventilated, no movement of air at all, plus air conditioning didn’t work. Windows were only on the ceiling and could be opened and closed only by stuff. Which made it impossible to sleep there. Because of small windows on the first floor we didn’t really get the promised mountains view. In the kitchen there weren’t dish washing liquid, towel, any sponge. It wasn't very clean. The remote controller doesn't work. Everything is too expensive. The environmental side of things could use some work. The recycling is apparently pretend. Cleaning staff said they "mix it all together before sending it down". Also, all the tap water comes out warm and is not potable. The hotel staff at reception explained that this is because of their geothermal heating system and we should just "leave the water running for 10 minutes" to get drinkable tap water. Hm. One small complaint about the kitchen in room 258: the smallest pot is about 6 litres. It would be convenient to have at least one smaller pot or a kettle for making tea, boiling an egg, etc.